It’s HERE! Finally, Outfit 10! I wanted to make this one extra special for you. 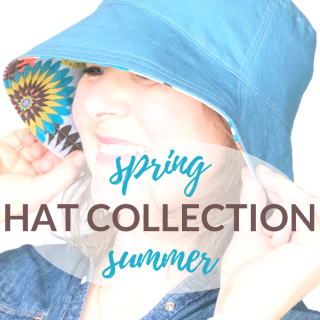 I just couldn’t leave you hanging with 9 outfits and a few cute handmade hats. 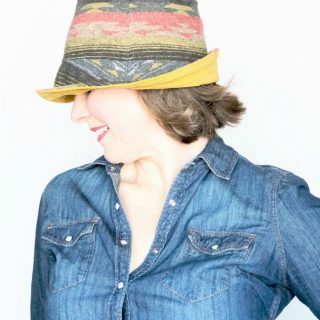 I’m sure I’ll have more handmade hats in the future but to finalize this series I needed to share this handmade hat with you and the outfits that pull everything together. 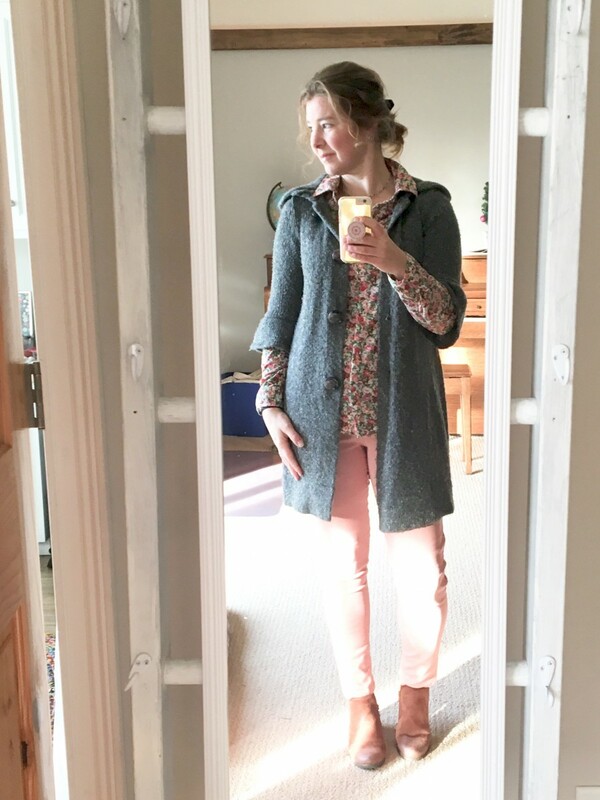 Although I have had many different outfits over the last couple of months I waited because I wanted to make Outfit 10 a good one (plus, the lighting was just right, I had a good makeup day and I was in the right mood – you get it). Let’s find out what I’m wearing and what put a smile on my face. It was one of those days that we were trying to get out of the house for church and managed to throw a cute outfit on. My hair was in shambles and well, I thought – at least the outfit is worth the photo. Flowers and pink seemed to make sense because it was November 3 and 60 degrees outside, in Minnesota – unprecedented. The outfit came together quickly until I looked in the mirror and WHOA! my hair really shouldn’t go to church like that and drag me along with it. So, I grabbed my new custom made Holly Hobbie hat and pulled the outfit together in a snap. 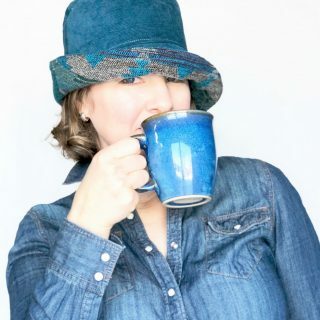 The moment went like this: we have t-minus 2 minutes to get out the door, my hair looks like it never made it through the rinse cycle (and I won’t even begin to tell you how it actually felt) and my mood instantly changed when I threw on my handmade hat. Don’t believe me? The smile on my face proves it in the next photo. 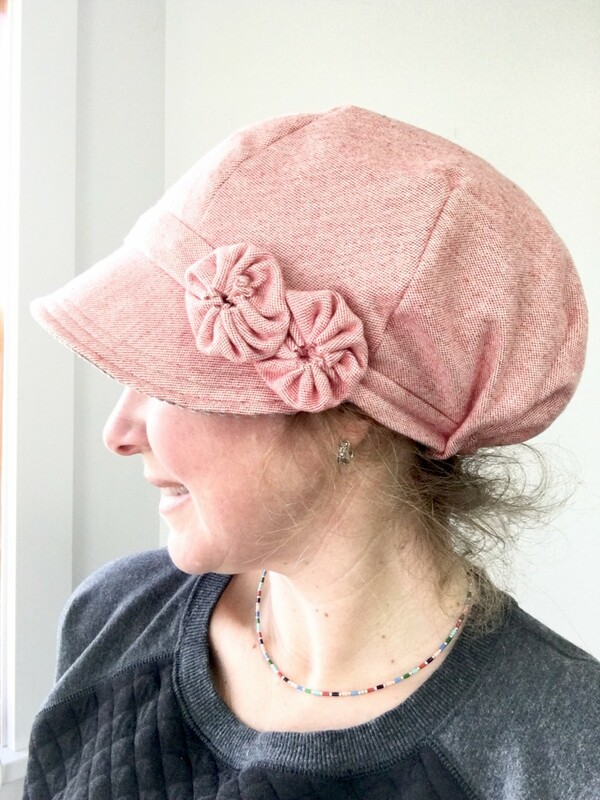 I will tell you more about this cute hat in a minute – it has a story and nothing to do with Holly Hobbie although the resemblance is scary- google her. This hat has gotten some mileage in the last couple of weeks. 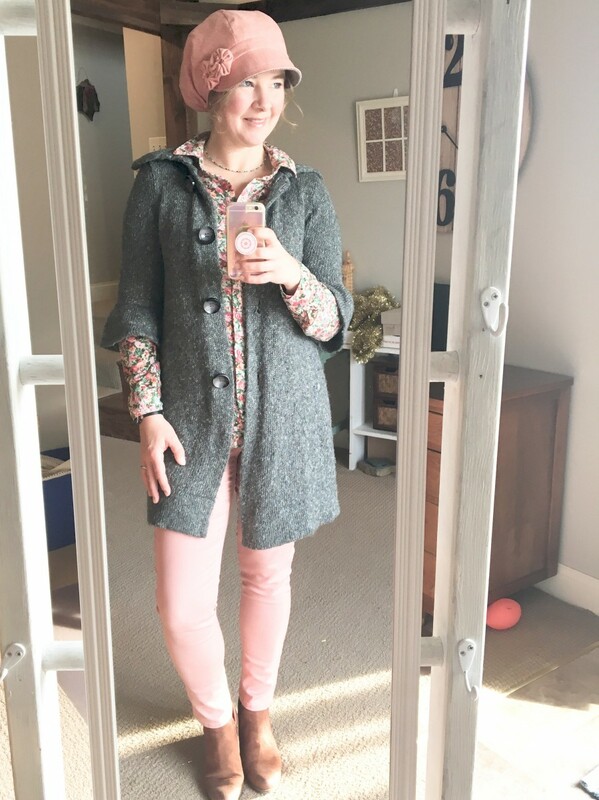 Below is a photo of another pink/winter white combo that I have yet to wear, but it’s so adorable that I might just throw it on before heading to my final show of the year. Oh, quick pause – see my shows and stores right here! 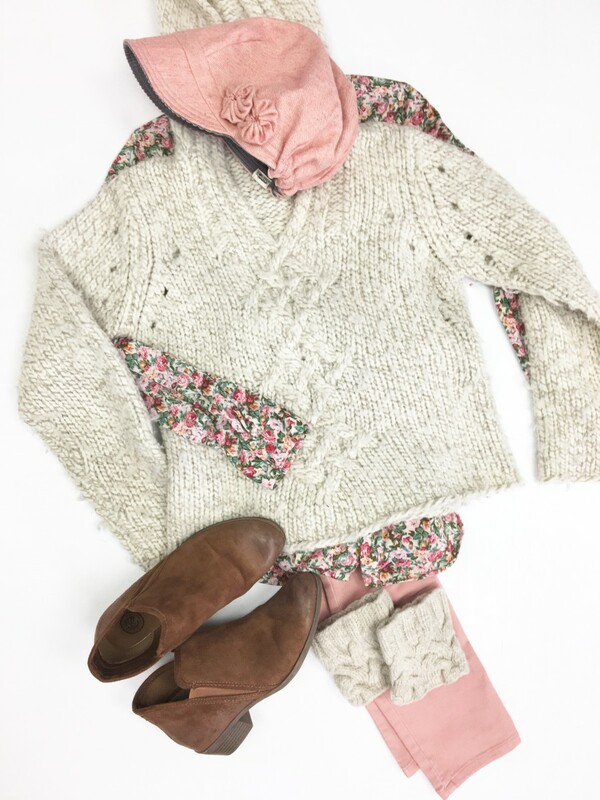 The chunky winter sweater is paired with the same floral shirt and accented with some fun coral/pink pants. The knit sweater ankle cuffs are a posh addition to almost any pair of jeans and they really keep your ankles warm. These ankle boots will tie any outfit together almost as quick as throwing on a hat. Who doesn’t love a good casual Friday, right? I am lucky enough that every day is a casual Friday. As I headed out the door to meet up with a friend I threw on the same hat but a completely different outfit. My conservative self could’ve reversed this hat to the medium grey corduroy side – but when it comes to some things I don’t consider myself very conservative. I was summoned to the pink because it would’ve been too much grey. Showcasing my new handmade hat and scarf combo was key. As for the mirror, I’ll keep it short and sweet – it’s very “forgiving” when it comes to my curves, nuff said. During one of my busiest season’s I would not have thought I had time to take out for myself to do something creative and fun in my shop. But I needed to take time out for myself in order to stay sane…. we’ve all been there! I go for walks and spend time with friends and family, but the creative soul in me was itching to tweak a particular hat that I made before. This handmade hat wasn’t quite right the first time and so it rested on the creative back burner. Two years later I made it again – thinking this time was going to be it – nope. Persistence is a friend that nags me until I get it to shut up. So, I made it again using the same fabrics of a beautiful medium grey 8 wale corduroy and dreamy pink flannel. I topped it off with a detachable rosette barrette and ta-da! This hat was a labor of love and I had to share it with you. The oversized brim keeps me inconspicuous, the poofy crown holds all my hair and the curves are just right. I have not yet put this handmade hat in my shop. Message me if you want to know more about colors for this new Holly Hat. Simply reply to this email or contact me here! 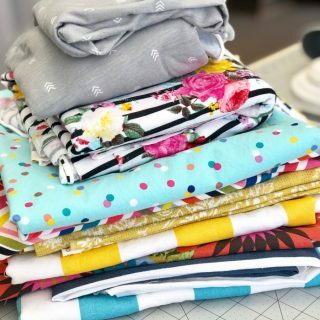 Have you ever wondered where I get all my cute clothes? Keep an eye on your exclusive email and get in on the secret! Not part of my newsletter yet? Sign up here! 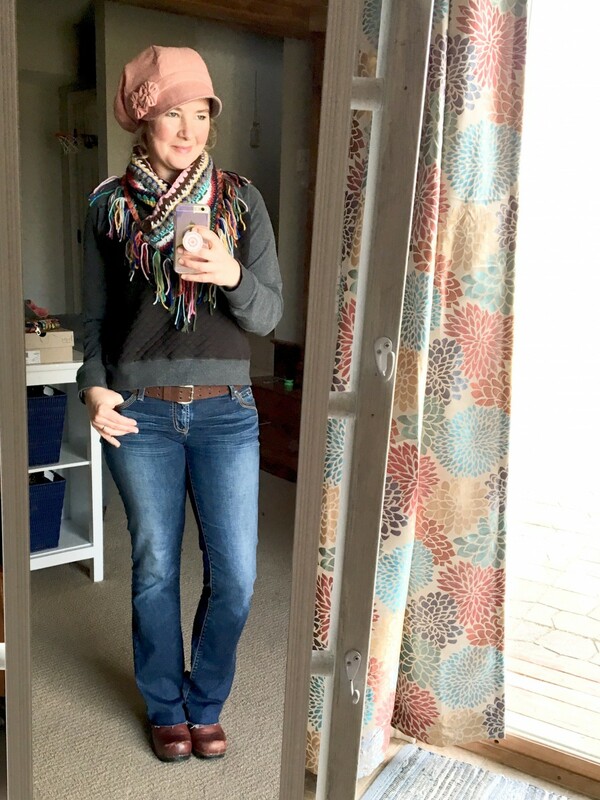 Are you new to the party or need a refresher on my other 9 outfits? Find them right here. THANK YOU for reading!!! It means so much to me to share this blog with you – I love writing it as much as I hope you love reading it! Wish you were a hat person? I hear it all the time..."I'd love to wear hats, but I just can't pull it off!" I'll show you how to pull it off with my free email mini series. Sign up below!